A Book Addict's Musings by Readinghearts: Monday's a Challenge: the Challenge Challenged Club, Are You A Member? Monday's a Challenge: the Challenge Challenged Club, Are You A Member? If you are anything like me, you love book challenges. I tell everyone, though, that I am "challenge challenged." Just like buying books (I'm sure I own more than I will ever read) I cannot seem to pass up a book challenge. It doesn't help that I am in a couple of reading groups run by two of the best reading challenge designers in the known universe, either. They are two of the most clever, and at the same time diabolical women I have ever met when it comes to thinking up new and creative ways to challenge yourself with your reading. The end result, as you have probably guessed, is that I join every challenge that they, and others, come up with. Once I have joined, I get all excited about picking which books I am going to read, or which books I am already reading that will fit into the challenges. I make my plans, post my lists, and then sit back with a sigh and get ready to read. Here is where the problems start. When I join all of these challenges, I am convinced that reading all of the books is doable. Then life hits me in the face. Before you know it, I am behind and wondering how I got that way. It doesn't help that I am also somewhat of a mood reader and a social reader. Show me a buddy read, and I am on it. 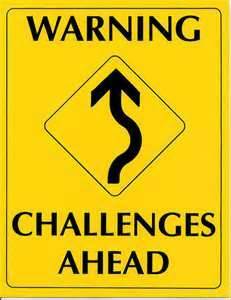 So, for 2013 I have decided that I am going to pick just a few challenges (Ya, right) and then stick with those. I AM going to stay focused. (Challenge wise). As I said before, I know two of the best challenge designers around, so I am going to have to pick and choose. The first set of challenges that I am doing for 2013 all have something to do with clearing books from your To Read lists. Luckily, all of my major book clubs are doing some form of this challenge this year, so by doing this, I can hit several "birds" with one books, so to speak. 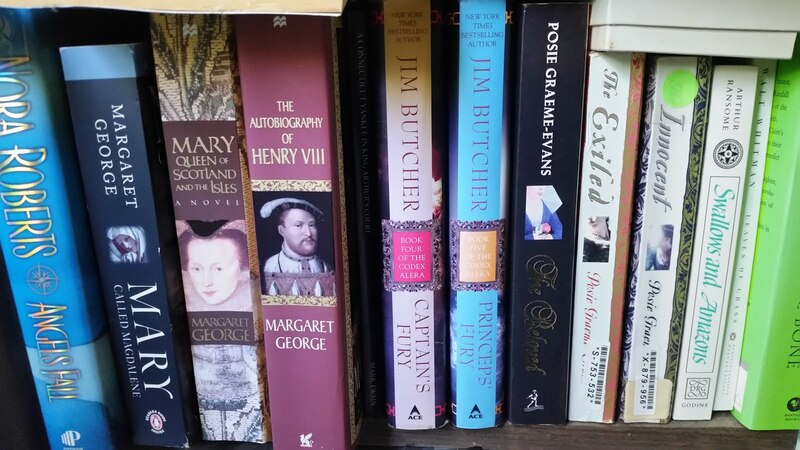 In addition, I am doing a couple of "genre" or "shelf" challenges, which entail reading from different stated genres (sometimes called shelves, like the Young Adult shelf in a library). These are actually my favorite type of challenge as I am a pretty eclectic reader and this allows me to hit all the high spots. Then there are a few "task based" challenges that I am participating in. One is to read a short story a week for the entire year. Another entails reading books by debut or "new to me" authors, and yet another is to read books from my favorite authors. The last type of challenge that I am doing is based on books in a series. Whether it is reading an entire series, reading the first book of 5 different series, or completing a series that I started in a prior year, these can be fun challenges. Oh, and I almost forgot, I am also doing the basic challenge - read a certain number of books or pages during the year. How about you? Are you like me and love book challenges? What is your favorite type? Are you doing any this year? Which part of a challenge do you like best, the planning or the reading? As the year goes on, I will talk a bit more in detail about the challenges that I am doing, who designed them, what the goal is, and how they are progressing. Feel free to share your challenges with me. What are the best challenges you have ever come across? I am like you I see challenges and can't wait to join them. I don't read fast so my eyes are bigger than my reading ability. Good luck on your challenges. Same to you Angela> :) Which ones are you doing this year?